Most children in the church neighborhoods were going to school without having a meal first because of financial struggles in their families. The Kingdom Builders Ministry network of churches and individual supporters began a breakfast/lunch before school program a few years ago. The idea was to send kids to school on full stomachs to help enhance their learning experiences. Thousands of meals have been served to these school kids thus far. Some of the children walk long distances from where they live or squatter camps to receive a free breakfast before school. Money is always needed to sustain this important program. 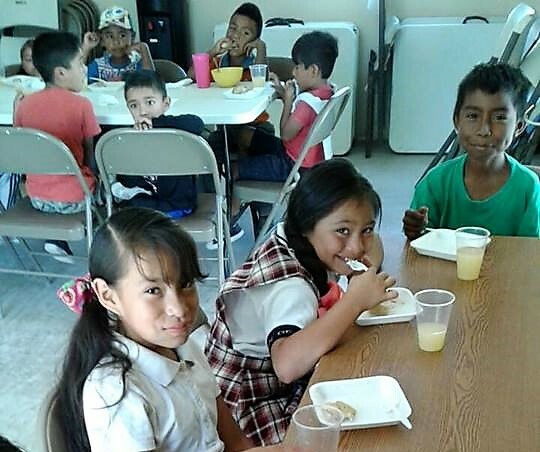 You monetary donations to this essential breakfast/lunch program is vital to the livelihood and learning experience of each child. Won't you help by donating as much as you can?